Protected areas (PAs) are probably the most important conservation instrument in Mexico. Historically, their planning and implementation have focused on ecological data ignoring values, attitudes, behaviors, and institutions of the people living in the PA, thus inhibiting its long-term effectiveness. Here, we review three social disciplines that might enhance the understanding of the social sphere around PAs: conservation psychology (CP), social-ecological system framework (SESF), and conservation marketing (CM). CP is crucial to understand human behavior toward nature or conservation. We present different tools for evaluating values, attitudes, and behaviors that are relevant for understanding conservation outcomes. SESF allows to systematically map and diagnose the pattern of interactions of relevant variables in search of factors that can be promoted or restricted to enable the involvement of local people in the planning and implementation of conservation programs and instruments. Finally, CM allows us to modulate and design conservation programs with specific end-state behaviors and target audiences to improve the success of the conservation actions. 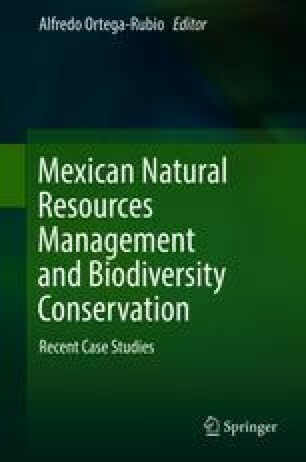 We proposed that using these disciplines in the design, implementation, and evaluation of the conservation programs, we will enable effective long-term conservation inside Mexican PAs.